Historically significant Victorian farmhouse situated within a breathtaking oak savanna. This timeless & stunning piece of Barrington Hills history is on the IL State Registry of Historic Homes. (due to this status, it does not have any reno restrictions) Enter & notice much beautiful, well preserved orig millwork & flooring-a sunny livrm, famrm w/ wd burning frplc & sep dinrm & cozy kit enhanced by French drs; 4th bdrm & full bth. Upstairs, a lrg mstr bdrm w/ frplc, 2 addl bdrms & 2 full bths; 18 clsts, 2 walk-ins. Down the drvwy, just past the hse, a 1600 sqft 2 car garge/barn complx w/water & electric & so much potential; around the corner, a vry privt, serene in-grnd pool (new htr & pmp 2016, pool sold as-is) Brg your horses, the trail begins just behind the property! (othr updates: new roof 2008, 2 gas frnces 2011, 2 cntrl air-cond 2005, wtr htr & sftnr 2013) Plum Tree Farm was built in 1879 but works with today's living--Create your estate or preserve this picturesque farmstead! I was searching for a Property and found this listing (MLS #10270381). 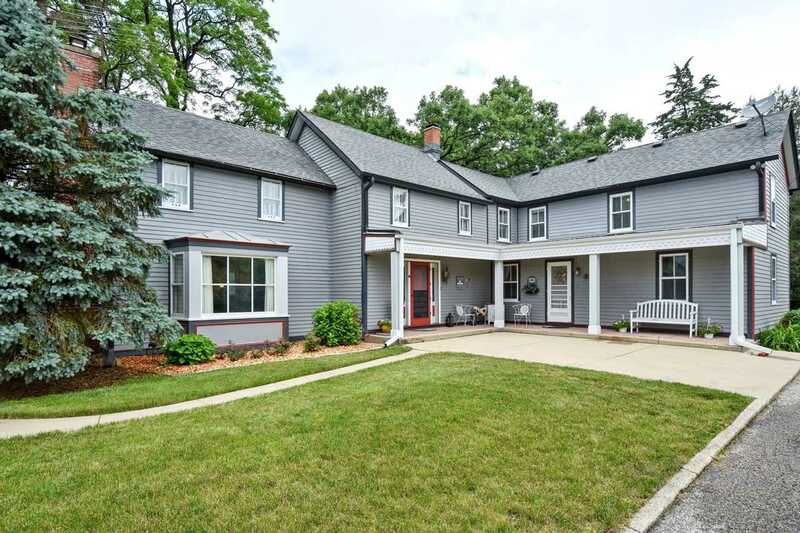 I would like to schedule a showing for 1001 Plum Tree Rd Barrington Hills, IL 60010. Thank you! I was searching for a Property and found this listing (MLS #10270381). Please send me more information regarding 1001 Plum Tree Rd Barrington Hills, IL 60010. Thank you!